Where is XMR and XCN? We are having some trouble with some of the miners, including forks with M7 and Cryptonight algorithms, that is why they are not included – low performance with very low load of the GPU or inconsistent hashrate. thanx for the prompt & comprehensive comment. can you review the gtx 970?! 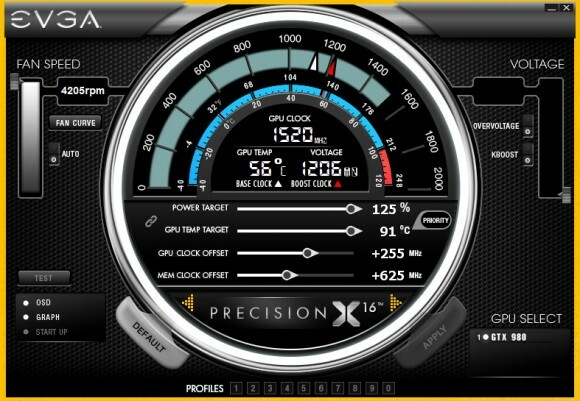 As long as the GTX970 produces 5700 KHS in x11 it would be a better KHS to $ deal then a 750ti. I don’t see how the GTX980 is a good deal though. I get about 2400 KHS (not overclocked) from one 750ti that costs $139 at NewEgg, which is ~17KHS per $. The cheapest GTX980 at NewEgg is $549 (not that any are in stock) which even overclocked (7106KHS) is ~12KHS per $. And your Watt usage for running 3 750ti’s overclocked would still be lower then the GTX980 overclocked usage (and the corresponding KHS of the overclocked 750ti would be increased). Maybe my math is wrong? hey boss, if you find the x11 kh/s for the gtx970 do u mind sharing it? I haven’t found gtx970’s x11 kh/s, I was just saying as long as it is above 5700 it will be a great deal. Actually with the bitcoin price as it is, it is better to just buy the bitcoin straight. With the $549 for a GTX980 you could get 1.392 BTC ($395 per BTC), which given the avg payout of nicehash per day is .0000002 per khs (so 7106KHS = .00142 with an overclocked GTX980), it would take 980 days to a BTC ROI (ie get 1.392 BTC). *I consider nicehash the easiest way to mine with a set and forget it type style. Granted playing the alt coin market could return much higher per day BTC. @Preciousillusion: Not bad, just passes the dollar to khs ratio of a 750ti. Do you know what the watt usage is (with like a kill-a-watt plug or something)? 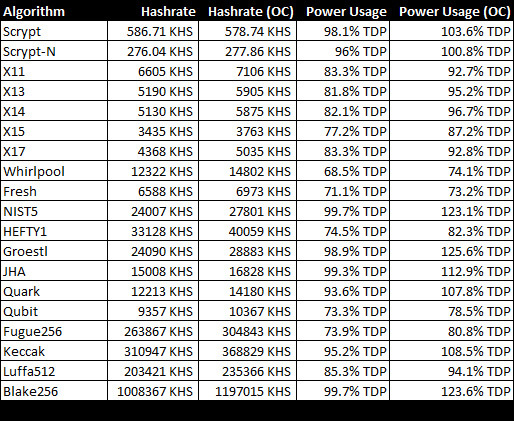 There are few people working on the ccminer to improve 900 series performance, the actual hashrate for an overclocked 980GTX TODAY is about 8MH/s in X11.